As I mentioned in my October Wrap-Up post quite literally eight minutes ago, due to the massive amount of library books that fall into my bag every weekday, I’ve been struggling to get to my own books. I was sat here dramatically swooning in dismay, when I stumbled across this fun new feature by Michelle at Because Reading. The idea is that on the first Saturday of the month, you post a poll with three of the books on your TBR list. Your readers choose which of these books you should read that month, and then you post a review of said book by the last Saturday of the month. To aid with the issue outlined above, I’m going to pick from only the books I own and I’m going to give you one book that has been on my TBR forever, one that is newly acquired and one that’s sort of middle ground. For the millions who log in every day, Warcross isn’t just a game—it’s a way of life. The obsession started ten years ago and its fan base now spans the globe, some eager to escape from reality and others hoping to make a profit. Struggling to make ends meet, teenage hacker Emika Chen works as a bounty hunter, tracking down players who bet on the game illegally. But the bounty hunting world is a competitive one, and survival has not been easy. Needing to make some quick cash, Emika takes a risk and hacks into the opening game of the international Warcross Championships—only to accidentally glitch herself into the action and become an overnight sensation.Convinced she’s going to be arrested, Emika is shocked when instead she gets a call from the game’s creator, the elusive young billionaire Hideo Tanaka, with an irresistible offer. He needs a spy on the inside of this year’s tournament in order to uncover a security problem . . . and he wants Emika for the job. With no time to lose, Emika’s whisked off to Tokyo and thrust into a world of fame and fortune that she’s only dreamed of. But soon her investigation uncovers a sinister plot, with major consequences for the entire Warcross empire. I didn’t ask for any of this. I didn’t ask to be some kind of hero. But when your whole life gets swept up by a tornado – taking you with it – you have no choice but to go along, you know?Sure, I’ve read the books. I’ve seen the movies. I know the song about the rainbow and the happy little bluebirds. But I never expected Oz to look like this. To be a place where Good Witches can’t be trusted, Wicked Witches may just be the good guys, and winged monkeys can be executed for acts of rebellion. There’s still a yellow brick road – but even that’s crumbling. They say she found a way to come back to Oz. They say she seized power and the power went to her head. And now no one is safe. My name is Amy Gumm – and I’m the other girl from Kansas. I’ve been recruited by the Revolutionary Order of the Wicked. I’ve been trained to fight. And I have a mission. Definitely make sure to vote for one of the above and check back next week to see which book I’ll be reading. If you want to take part, visit the rules page at Because Reading. Which book should I read in November? Oooo….these all sound good! 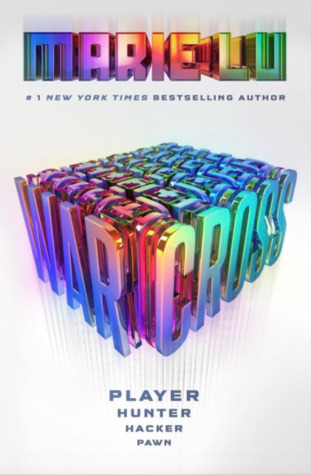 I went with Warcross because I want to read it as well. 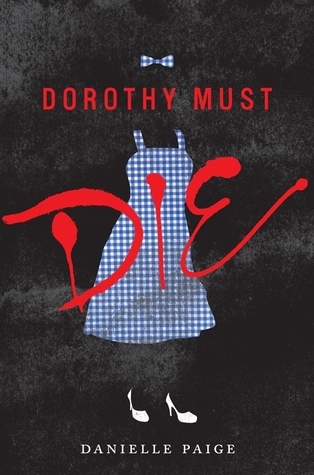 Dorothy is on my TBR list this month too. Hope you enjoy the winning book! I vote for Warcross because I have heard good things!! Me too. It’s the book I was most looking forward to out of the above – now I’m just worried it won’t live up to the hype! 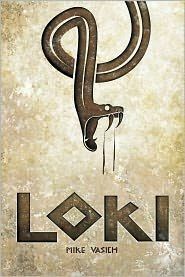 I had to choose Loki because, well, who doesn’t love Loki?! Okay, I’ll settle on one, but I’m not happy about it. Warcross is tempting me and so I kind of want to vote for that one, but Dorothy Must Die is screaming at me to vote for it, so I’ll for that one. I hope you enjoy whichever wins!